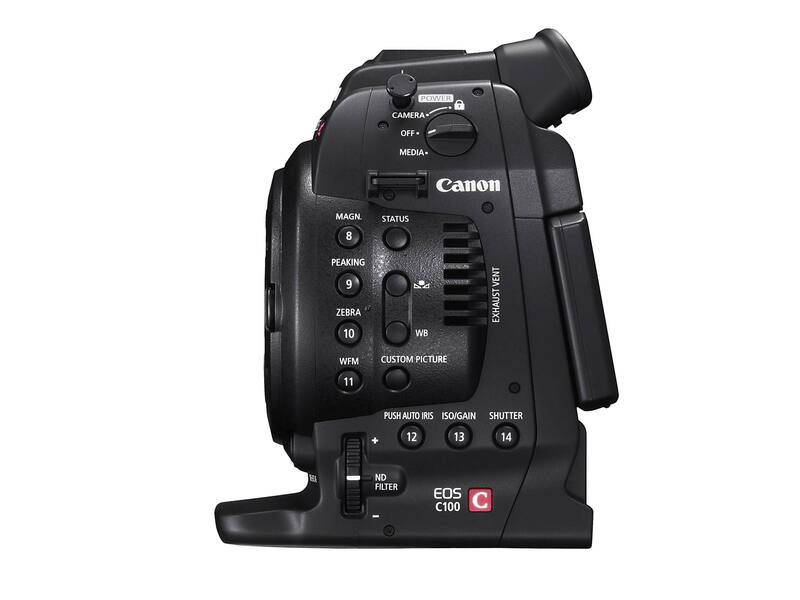 Beginning February 2014, Canon EOS C100 cameras will autofocus continuously and twice as fast with Canon’s entire line of EF lenses. The optional upgrade will cost $500.00 (plus shipping and handling) when you send your C100 camera body to a Canon service center. 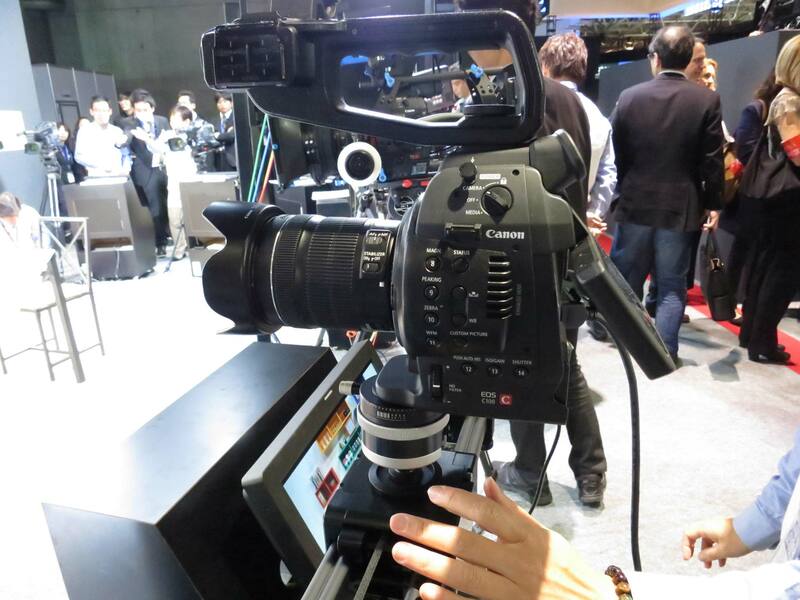 Who knew (besides Canon’s technical team) that the C100, C300 and C500 had dual pixel CMOS sensors? I certainly didn’t, although a clue might have been the high ISO potential of these cameras. 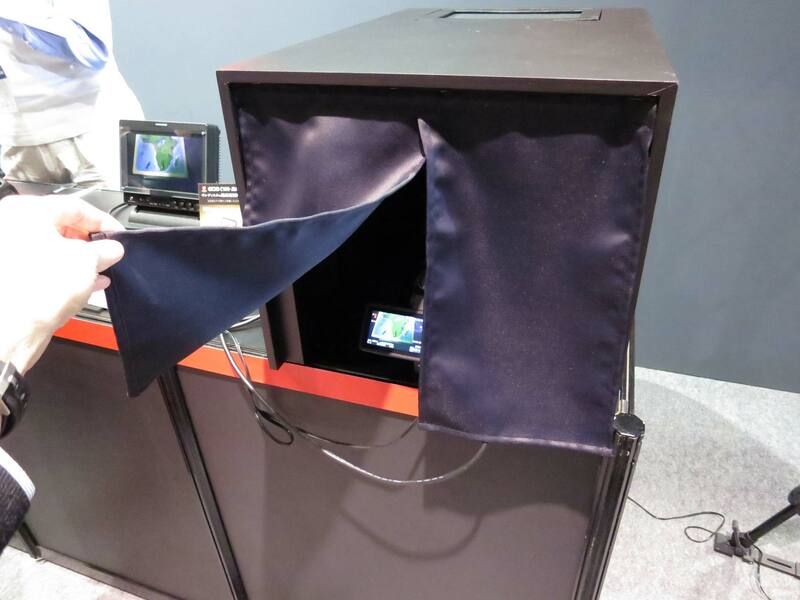 In fact, at InterBEE they were showing a camera cranked up to 80,000 ISO inside a black box with flaps–like a miniature video village tent. In almost total darkness it still could display a map of the world. The Autofocus upgrade is only for the EOS C100 camera (introduced in November 2012). On paper, theoretically the C300 and C500 could be upgraded as well if enough owners were interested, but I guess Canon figures that if you have a C300 or C500, you have a camera assistant/focus puller. The C100 upgrade works well with Canon’s new STM (Stepping Motor) lenses because they are quieter. The improved autofocus uses Dual Pixel CMOS AF technology first introduced on Canon’s EOS 70D digital SLR camera in August. On the C100, the autofocus area is a rectangular in the center of the frame representing about 1/5th the picture height and 1/4 the width. I believe you will be able to move this rectangular frame with the “joystick” camera control. Focus shifts are smooth. You will also be able to dedicate a user-assignable button to interrupt autofocus and take over manually. However, “touch-the screen-to-focus” is not enabled the way it is on the 70D’s rear touch-screen in Live View mode. Read Brent Ramsey’s article for more details about the upgrade. Canon has additional information about the update.